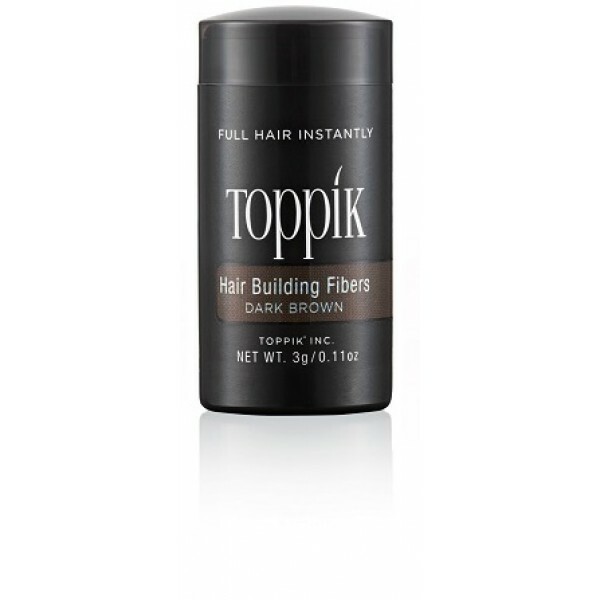 Toppik Hair Fibers are Natural Organic Protein Fibers that blend undetectably with your natural hair . As used by over 3 million people worldwide. Toppik is a new and revolutionary hair thickening product, giving men and women a safe and natural way to conceal the appearance of baldness and thinning hair in less than a minute. Unlike other products, Toppik is not a spray, cover up, shampoo or cream; it is a new cosmetic complex of organic protein fibres that blend undetectably with your natural hair.The hair building fibres are advanced and work to securely fill out the existing hair, giving a natural full hair appearance. This product can enhance even the sparsest of areas and is designed to complement existing hair. Try Toppik , change the way you look at yourself in the mirror and gain the confidence to wear your hair in any style.